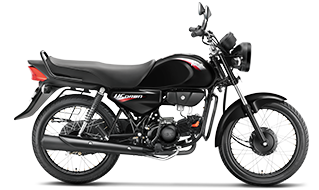 If you are looking for a comfortable ride, then the HF Hero Dawn is just the bike you need! The bike has a comfortable seat with an under-seat storage space. This motorcycle comes in two exciting colours – HF Dawn Red and HF Dawn Black. The Hero HF Dawn bike also comes with the headlamp on AHO, side-stand indicators, superb mileage and a range of other exciting features which make it the preferred choice for both short and long commutes. You can explore the features and specifications of the HF Dawn motorcycle with our 360° view. Check out the HF Dawn bike photos and images to get a closer look at the bike. Looking for a bike at a reasonable price for your daily commute? The HF Dawn bike comes at a superb price for all the amazing features and specifications it offers. 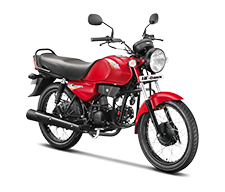 This motorcycle is suitable for you, whether you are a student or an office-goer. Please note that the price of the HF Dawn bike may vary slightly from city to city. You can find the price of the HF Dawn bike in Mumbai, Delhi, Bangalore, Ahmedabad, Pune, Chandigarh, Lucknow and Kanpur. The HF Dawn bike mileage is among the best in its category and offers excellent value for your money. The HF Dawn motorcycle includes features and specifications such as superb mileage, ignition with a digital CDI system and an air cooled 4-stroke single cylinder engine with a capacity of 97.2 cc. What’s more the HF Dawn Mileage Bike features the headlamp on AHO that provides superb visibility. The bike also has an under-seat storage compartment that comes with side-stand indicators. The HF Dawn motorcycle has an impressive peak torque of 8.05 Nm at 5,000 rpm. The HF Dawn motorcycle specifications include a 4 Speed constant mesh transmission, a tubular double cradle chassis and Telescopic Hydraulic shock absorbers in the front. To explore the HF Dawn bike in different colours, make sure to check out the HF Dawn Motorcycle images. You can also compare the HF Dawn bike’s specifications to any other bike of your choice. Don’t forget to check out all the features of the HF Dawn through the 360° feature on the site.